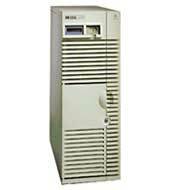 Vibrant carries an extensive inventory of used HP 9000 Servers and hardware features. HP has discontinued this product line and replaced it with the HP Integrity Server line, but Vibrant will continue to stock quality refurbished HP9000 systems and upgrades for years to come. 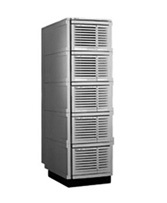 HP 9000 servers are the original HP Unix servers and includes workstations and server models as well, produced by HP (Hewlett-Packard Company). Almost all the systems of HP 9000 use a Unix flavor called HP-UX as native operating system. These servers can support enterprise applications like managing enterprise resource planning, web hosting and also help in huge data set processing. The HP/9000 line was introduced and released in 1984 as HP's original flagship Unix products. This brand also included some previously released workstation models introduced in early 1980’s. 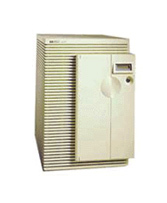 at the start HP released 200 and 500 series in HP 9000 line, and from 1990 onwards nomenclature of these series was replaced with alphabets i.e. new series names were alphabetical. The HP/9000 line was retired and became the HP Integrity server line, which Vibrant also trades in on the secondary market. 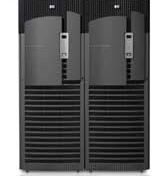 - High performance in networking, server connectivity and mass storage Models HP 9000 comes in 3 types of models, according to their computing power. rp4410 and rp440: Used for applications like enterprise resource planning and e-commerce. rp7420: Characteristics include flexibility and scalability. 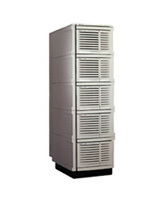 rp7440: Ensures high availability, flexibility, increased bandwidth and simple management. For more information on used and refurbished HP 9000 equipment, please contact HP/9000 hardware sales at info@vibrant.com or call 1.888.443.8606.